BUMS (Bachelor of Unani Medicine and Surgery) is an undergraduate degree programme in the field of Unani medicine and surgery. This degree covers the medical knowledge of the Unani system. To pursue and owe this degree is quite enough to become a doctor (Hakim) in the Unani medical field. Unani is the system of alternative medicines. The patients are taken care by enhancing the natural healing power of the human body. The concept of Unani is that the body rejuvenates itself because of its self healing power. We just need to help it by enhancing the natural healing power. “Unani is the ancient medical system which is involved in the treatment of patients to help in enhancing the body’s natural healing system by using Unani medicines”. 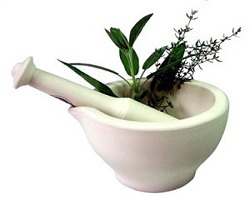 Unani is the fourth most popular medication system in India after the allopathic, ayurvedic and homeopathic system. According to this system there are four elements in human body as the Blood, Phlegm, yellow bile and the black bile. This is similar to the Ayurveda in term of the four elements and as popular as the Ayurveda. The Unani medicine system has come in India around the 12th century under the rule of Mughal empires’ King, Allauddin Khilji. According to this system the treatment of any disease through this system is depends on the proper diagnosis. The clinical features as the sign, symptoms, laboratory features and mijaz are important to diagnose any disease. There are numerous colleges in India and abroad offering the diploma and degree programmes in the Unani system of medical care. These days many of Indian young people are attracting to the Unani system. Unani medical studies are being adopted very fast by the young student’s generation. There are various study programs like diplomas, undergraduate, postgraduate and research programmes are available in this field. Bachelor of Unani Medicine & Surgery (BUMS) is one of the popular degrees in the field of Unani medicine. It is the UG degree which is almost sufficient to get the job. This degree is awarded after the completion of 5.5 years academic programme containing the 4 .5 year academic session and 1 year internship programme with live practical. The undergraduate programme in Unani system can be pursued through the distance education system. The basic requirement for the eligibility to get the admission to BUMS programme is qualifying the 10+2 examination with 50% marks. The candidate must have the physics, chemistry and biology in 12th class. The students who have the language Urdu in 12th class or having proficiency in Urdu language has given the preference in admission. The regulation body of Unani education is Central Council of Indian Medicine (CCIM) in India. There are just 35 medical colleges in India which offer the educational programme in Unani system. Some reputed institutions offers admission through the national and state level entrance examination. Students can appear in NEET 2019 (National Level Exam), KEAM 2019 (state level exam) for admission in BUMS course. The candidate should be minimum 17 years old. The selection of the candidates is based on the merit in the qualifying examination as 12th and followed by the personal interview. The career opportunity after the completion of BUMS is not only in India but also in abroad. Many organizations and research institutions are working in the manufacturing and research field in abroad are requiring the professional in this field. The candidate having the BUMS (Bachelor of Unani Medicine and Surgery) degree is eligible to be called as a Hakeem (Doctor) and eligible to do the private practice. A Unani practitioner may look the career as a medical representative or as a doctor in private or government hospital. The professionals in this field can work in companies those deal with the Unani preparations. He/she may get the job in Unani colleges as a professor or the researcher. A large number of people are not satisfied with the allopathic treatment. This gives the birth to the alternative treatment. The salary in medical field is the benchmark among the other fields. Unani field also owes this regard. In government sector the salary of a Unani doctor is 12000 to 15000 per month while in the private sector the salary starts from the 15000 per month. With the experience of 2-4 year, one can get the handsome salary like 20000 to 25000 per month. The remuneration is depend on the status of the recruitment company and your hands in your specialized field. You should go for it. This is a good courses with lots of scope. In SSC and Intermediate my first language is not urdu so can I eligible for BUMS?…But I know urdu.. I have written NEET but I did not appear for state level exam. I would like to know if I’m eligible to join BUMS. Am I eligible for the course..
Can I go to Saudi after completing bums…. Sir, I have not done physics in my 12th grade, can i study BUMS? nd other I have completed Adeeb Kamil from Jamia Urdu Aligarh. Now I want to do BUMS so please suggest me can I do that….? Is bums easy r wt?? ?….Advice me plz.. Same doubt here….which is best for a sciencw student ! Sir,i want to read BUMS course by distance,is it possible or not.pls sir reply. No,it is not possible through distance mode. Sir after bums can I get bright future or not. Main BUMS course ke liye addmissoin lena chahta hu,maine 12th 64.4% se pass kiya h aur biology me 74% hai ,so sir aap mujhe advise de sakte ho ki main kaise isme addmissoin le sakta hu aur kaun sa college better h,aur sir aap kis college me h.. Sir..I have take admission in BUMS but i cant handle URDU language…so i can??? hello… I want to take B.U.M.S is it necessary to give entrance or can directly take admission..?? I am interesting to do BUMS distancedistance ednucation in karnataka please suggest. you can apply for the govt jobs in colleges/universities as a asst professor or medical hospitals. Sir plz tell me I have took admission in bums would I b able to practise allopathy in future? Ksa me scope nhi hai na…koi batsakte hu ksa me place? Bums k bad m.s karna chahri koi private clgs k name batasakte hu? i want to do BUMS course bt i don’t know urdu…. is urdu is compulsary for this course?? Can I apply for MD and then for psychiatrist after BUMS degree? Are there any colleges for doing PG in Unani medicine in USA or Canada. Do I have a scope in US or Canada after completion of BUMS in India?? Gyecology is a specialized field, you can pursue this after completing your medicine. I have done b.com commerce , MA litrature want to do tibb course n want to earn good salary also…. BUMS degree is required for TIBB Course. Yes they may be the case in European countries as well, so you should look to pursue either MBBS or BDS. Bums ki list kab tak aayegi? Kisi ko kuch idea h??? im thinking of bums or bhms for my further medicinal education . which one would be better. does bums have arabic/urdu words which might get hard to cope with? For BUMS you must have proficiency in urdu. Sir I am a BA Graduate. I am interested in Unani Medication. I want to do some degree in unani medicine is it possible please let me know. Do unani doctors (bums) work in ksa? Do they get job in ksa?? Plz ans. They can get the Job in KSA. You can try in countries like Midde East, Africa, Italy, Portugal etc. Good .dubai and saudi is best for u…gi a head good luck..
Can we apply for DGO after BUMS? If yes then frm which college? Sorry, for doing DGO the candidates must have the MBBS. If you don’t have the basic knowledge of Urdu at least +2 level, then you must know there is no chance for you in BUMS . Because BUMS is a professional course which is based on Urdu.